Christ's College is a constituent college of the University of Cambridge. The college includes the Master, the Fellows of the College, and about 450 undergraduate and 170 graduate students. The college was founded by William Byngham in 1437 as God's House. In 1505, the college was granted a new royal charter, was given a substantial endowment by Lady Margaret Beaufort, and changed its name to Christ's College, becoming the twelfth of the Cambridge colleges to be founded in its current form. The college is renowned for educating some of Cambridge's most famous alumni, including Charles Darwin and John Milton. Within Cambridge, Christ's has a reputation for highest academic standards and strong tutorial support. It has averaged 1st place on the Tompkins Table from 1980–2006 and third place from 2006 to 2013, returning to first place in 2018. Christ's College was founded by William Byngham in 1437 as God's House, on land which was soon after sold to enable the enlargement of King's College. Byngham obtained the first royal licence for God's House in July 1439. The college was founded to provide for the lack of grammar-school masters in England at the time, and the college has been described as "the first secondary-school training college on record". The original site of Godshouse was surrendered in 1443 to King's College, and currently about three quarters of King's College Chapel stands on the original site of God's House. After the original royal licence of 1439, three more licences, two in 1442 and one in 1446, were granted before in 1448 God's House received the charter upon which the college was in fact founded. In this charter, King Henry VI was named as the founder, and in the same year the college moved to its current site. In 1505, the college was endowed by Lady Margaret Beaufort, mother of King Henry VII, and was given the name Christ's College, perhaps at the suggestion of her confessor, the Bishop John Fisher. The expansion in the population of the college in the seventeenth century led to the building, in the 1640s, of the Fellows' Building in what is now Second Court. The Great Gate on St Andrew's Street. The original 15th/16th century college buildings now form part of First Court, including the chapel, Master's Lodge and Great Gate tower. The gate itself is disproportionate: the bottom has been cut off to accommodate a rise in street level, which can also be seen in the steps leading down to the foot of L staircase in the gate tower. The college hall, originally built at the very start of the 16th century, was restored in 1875–1879 by George Gilbert Scott the younger. The lawn of First Court is famously round, and a wisteria sprawls up the front of the Master's lodge. Second Court is fully built up on only three sides, one of which is formed by the 1640s Fellows' Building. The fourth side backs onto the Master's garden. The Stevenson Building in Third Court was designed by J. J. Stevenson in the 1880s and was extended in 1905 as part of the College's Quadcentenary. In 1947 Professor Albert Richardson designed a new cupola for the Stevenson building, and a second building, the neo-Georgian Chancellor's Building (W staircase, now known as The Blyth Building), completed in 1950. Third Court's Memorial Building (Y staircase), a twin of the Chancellor's building, also by Richardson, was completed in 1953 at a cost of £80,000. Third Court is also noted for its display of irises in May and June, a gift to the college in 1946. The controversial tiered concrete New Court (often dubbed "the Typewriter") was designed in the Modernist style by Sir Denys Lasdun in 1966–70, and was described as "superb" in Lasdun's obituary in the Guardian. Design critic Hugh Pearman comments "Lasdun had big trouble relating to the street at the overhanging rear". It appears very distinctively in aerial photographs, forming part of the northern boundary of the college. An assortment of neighbouring buildings have been absorbed into the college, of which the most notable is The Todd Building, previously Cambridge's County Hall. Through an arch in the Fellows' Building is the Fellows' Garden. It includes two mulberry trees, of which the older was planted in 1608, the same year as Milton's birth. Both trees have toppled sideways, the younger tree in the Great Storm of 1987, and are now earthed up round the trunks, but continue to fruit every year. Christ's College is one of only 5 colleges in Oxford or Cambridge to have its own swimming pool. It is fed by water from Hobson's Conduit. Recently refurbished, it is now known as the 'Malcolm Bowie Bathing Pool', and is thought to be the oldest outdoor swimming pool in the UK, dating from the mid 17th century. The other four swimming pools within colleges belong to Girton College (indoor pool), Corpus Christi College (outdoor pool), Emmanuel College (outdoor pool) and Clare Hall (indoor pool). New Court: Lasdun Building, known as "The Typewriter"
With a deserved reputation even within Cambridge for the highest academic standards, Christ's came first in the Tompkins Table's twentieth anniversary aggregate table, and between 2001 and 2007, it had a mean position of third. Academic excellence continues at Christ's, with 91% of students in 2013 gaining a first class degree or an upper second (II.i). This is significantly higher than the University average of 70%. Christ's is noted for educating two of Cambridge's most famous alumni, the poet John Milton and the naturalist Charles Darwin, who, during the celebrations for the 800th anniversary of the University, were both placed at the foreground as two of the four most iconic individuals in the University's history. The college has also educated Nobel Laureates including Martin Evans, James Meade, Alexander R. Todd, Baron Todd and Duncan Haldane. It is the University's 6th largest producer of Nobel Prize winners. Some of the college's other famous alumni include comedians Sacha Baron Cohen, John Oliver and Andy Parsons, Lord Louis Mountbatten of Burma, South African Prime Minister Jan Smuts, historian Simon Schama, theologian William Paley and the former Archbishop of Canterbury Rowan Williams. Professor in Pediatric Oncology Michael Whitehead, husband of Canadian author Louise Penny, completed both a Bachelor’s and a Master’s degree at Christ’s College. Her fictional character French native speaker Chief Inspector Armand Gamache of the Sûreté du Québec is said in her first book Still Life to have learned English while an undergraduate at Christ’s College, where according to A Great Reckoning he read for a degree in History. The Junior Combination Room (JCR), represents the undergraduate students. It organises social and welfare events, and negotiates on the students' behalf on important issues. The JCR has a standing committee and a common room for all the students. The JCR's counterpart, the Middle Combination Room (MCR) represents the graduate students of the College, and has its own bar. The MCR organises regular Graduate Halls. A Garden Party is held by both the JCR and the MCR every June in the Fellows' Garden. The Senior Combination Room (SCR) is composed solely of fellows of the College and holds two feasts each year. The Acting Chaplain of the college is Michael Dormandy. The Marguerites Club, one of the oldest surviving College societies, reformed in 1899 by Gilbert Jessop the then captain of CUCC. It is believed to have originally formed some ten years earlier, but was soon disbanded. Originally the society was confined to captains and secretaries or those with colours in three sports. Nowadays it is also known as a drinking society, as well as a club recognising sporting excellence. The name originated from the club's original blazer, which was navy blue in colour with the Foundress's 'rebus' or badge, signifying her name, embroidered on the pocket. Christ's College Boat Club, the oldest college sports club still active, having been founded in 1830. Like many other Cambridge Colleges, Christ's has its own boathouse on the banks of the Cam. Christ's College Rugby Football Club, founded in 1875 by Alfred Cort Haddon, who is considered the father of modern anthropology. In the 1960 Varsity Match, eight of the starting Cambridge team were students at Christ's and all of the side's points were scored by Christ's players. The CCRFC is nicknamed "The Brown Rings" after the brown and white hoops featured on the match kit. Christ's College Association Football Club, which prides itself on having won the inter-collegiate Cuppers competition more times than any other. Christ's College Music Society, founded 1710. Christ's, like most other Cambridge Colleges, also hosts a biennial May Ball in the time after undergraduate examinations which is by students commonly known as May Week. A separate society called "Christ's College May Ball Committee" is set up every two years to organise and direct this event. In 2010, Two Door Cinema Club headlined the entertainment. The May Ball in June 2012 featured a Rio de Janeiro carnival theme. The previous May Ball, named "L'Esprit Nouveau", was held on 15 June 2010 and featured a 1920s Parisian theme. The May Ball on Tuesday 17 June 2014 was hailed as one of the best May Balls of the year, coming close to perfection. It was themed "The Emerald City". on the spiritual nourishment of your Word. Natalie Haynes 1974 Writer and broadcaster and a former comedian. ^ a b c "Undergraduate Admissions: Christ's College". University of Cambridge website. Retrieved 2 August 2009. ^ "Annual report of the Trustees and Accounts prepared under the Recommended Cambridge College Accounts (RCCA) format for the year ended 30 June 2017" (PDF). Christ’s College, Cambridge. Retrieved 3 August 2018. ^ Lloyd, A.H. The Early History of Christ's College. p. 13. ^ Lloyd, A.H. The Early History of Christ's College. p. 24. ^ Lloyd, A.H. The Early History of Christ's College. p. 37. ^ Leach. The Schools of Medieval England. p. 257. ^ Lloyd, A.H. The Early History of Christ's College. pp. 44–45. ^ Lloyd, A.H. The Early History of Christ's College. p. 86. ^ Lloyd, A.H. The Early History of Christ's College. p. 73. ^ a b "College History". Christ's College, Cambridge. Retrieved 6 October 2015. ^ "Architects pay tribute to Denys Lasdun". the Guardian. Retrieved 13 September 2014. ^ "The Legacy of Lasdun". Archived from the original on 5 March 2012. ^ "Malcolm Bowie Bathing Pool". Christ's College, Cambridge. Archived from the original on 25 May 2014. Retrieved 13 September 2014. ^ "Christ's top of 20-year table of Cambridge colleges". The Independent. Retrieved 13 September 2014. ^ "Supporting Applicants" (PDF). University of Cambridge. Retrieved 13 September 2014. ^ "Christ's College Annual Magazine 2013". Christ's College, Cambridge. Retrieved 13 September 2014. ^ "Quentin Blake unveils Cambridge 800 panorama | University of Cambridge". Cam.ac.uk. 28 September 2009. Retrieved 10 July 2014. ^ University education (18 January 2009). "Cambridge University's 800th birthday celebrated with spectacular light show". The Daily Telegraph. Retrieved 10 July 2014. ^ "University's history writ large on screen | Cambridge City News, Cambridge Local News Stories & Latest Headlines". Cambridge News. Archived from the original on 24 December 2013. Retrieved 10 July 2014. ^ "University of Cambridge Nobel Laureates". Retrieved 8 October 2015. ^ "Christ's College Distinguished Members". Christ's College. Retrieved 8 October 2015. ^ "In Memoriam: V. Michael Whitehead (1934–2016)". McGill Med e-news. Retrieved 18 June 2018. ^ "A murder by any other name". Beyond Words – Canada's Official Languages Newsletter, May 2012. Retrieved 18 June 2017. ^ "Official Christ's College Website; Distinguished Alumni". Christ's College, Cambridge. Archived from the original on 18 January 2013. Retrieved 13 September 2014. ^ "Rugby Varsity Match 1960: First Half Highlights". YouTube. Retrieved 13 September 2014. ^ "Christ's May Ball 2014: Close to Perfection". Wikimedia Commons has media related to Christ's College, Cambridge. 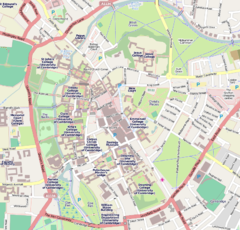 This is a list of the colleges within the University of Cambridge. These colleges provide most of the accommodation for undergraduates and graduates at the University and at the undergraduate level they have responsibility for admitting students to the University and organising their tuition. They also provide funding, accommodation, or both, for some of the senior research posts in the University. They are self-governed charities in their own right, with their own endowments and possessions. Until the mid-19th century, both Cambridge and Oxford comprised a group of colleges with a small central university administration, rather than universities in the common sense. St John's College is a constituent college of the University of Cambridge. The college was founded by Lady Margaret Beaufort. In constitutional terms, the college is a charitable corporation established by a charter dated 9 April 1511. The aims of the college, as specified by its statutes, are the promotion of education, religion, learning and research. Lincoln College is one of the constituent colleges of the University of Oxford, situated on Turl Street in central Oxford. Lincoln was founded in 1427 by Richard Fleming, then Bishop of Lincoln. St Hugh's College is one of the constituent colleges of the University of Oxford. It is located on a 14.5-acre (5.9-hectare) site on St Margaret's Road, to the north of the city centre. It was founded in 1886 by Elizabeth Wordsworth as a women's college, and accepted its first male students in its centenary year in 1986. Selwyn College, Cambridge is a constituent college of the University of Cambridge in the United Kingdom. The college was founded by the Selwyn Memorial Committee in memory of George Augustus Selwyn (1809–1878), the first Bishop of New Zealand (1841–1868), and subsequently Bishop of Lichfield (1868–1878). It consists of three main courts built of stone and brick along with several secondary buildings, including adjacent townhouses and lodges serving as student hostels on Grange Road, West Road and Sidgwick Avenue. The college has some 60 Fellows and 110 non-academic staff. Churchill College is a constituent college of the University of Cambridge, England. It has a primary focus on science, engineering and technology, but still retains a strong interest in the arts and humanities. University College, informally known as Castle, is a college of the University of Durham in England. Centred on Durham Castle on Palace Green, it was founded in 1832 and is the oldest of Durham's colleges. As a constituent college of Durham University, it is listed as a higher education institution under section 216 of the Education Reform Act 1988. Almost all academic activities, such as research and tutoring, occur at a university level. Fitzwilliam College is one of the constituent colleges of the University of Cambridge, England. The college traces its origins back to 1869 and the foundation of the Non-Collegiate Students Board, a venture intended to offer students from less financially privileged backgrounds a chance to study at the university. The institution was originally based at Fitzwilliam Hall, opposite the Fitzwilliam Museum in central Cambridge. Having moved to its present site in the north of the city, Fitzwilliam attained collegiate status in 1966. Female undergraduates were first admitted in 1978, around the time most colleges were first admitting women. Magdalene College is a constituent college of the University of Cambridge. The college was founded in 1428 as a Benedictine hostel, in time coming to be known as Buckingham College, before being refounded in 1542 as the College of St Mary Magdalene. Magdalene counted some of the greatest men in the realm among its benefactors, including Britain's premier noble the Duke of Norfolk, the Duke of Buckingham and Lord Chief Justice Christopher Wray. Thomas Audley, Lord Chancellor under Henry VIII, was responsible for the refoundation of the college and also established its motto—garde ta foy. Audley's successors in the Mastership and as benefactors of the College were, however, prone to dire ends; several benefactors were arraigned at various stages on charges of high treason and executed. Robinson College is a constituent college of the University of Cambridge, England. 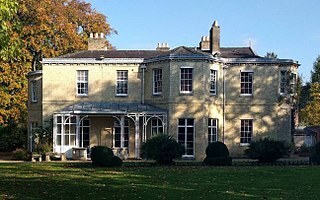 Founded in 1977, Robinson is one of the newest Oxbridge colleges and is unique in having been intended, from its inception, for both undergraduate and graduate students of both sexes. Emmanuel College is a constituent college of the University of Cambridge. The college was founded in 1584 by Sir Walter Mildmay, Chancellor of the Exchequer to Elizabeth I.
Corpus Christi College is a constituent college of the University of Cambridge. It is notable as the only college founded by Cambridge townspeople: it was established in 1352 by the Guild of Corpus Christi and the Guild of the Blessed Virgin Mary, making it the sixth-oldest college in Cambridge. With around 250 undergraduates and 200 postgraduates, it also has the second smallest student body of the traditional colleges of the University. Queens' College is a constituent college of the University of Cambridge, England. Queens' is one of the oldest and the largest colleges of the university, founded in 1448 by Margaret of Anjou, and has some of the most recognisable buildings in Cambridge. The college spans both sides of the river Cam, colloquially referred to as the "light side" and the "dark side", with the Mathematical Bridge connecting the two. Cambridge University Students' Union (CUSU) is the university-wide representative body for students at the University of Cambridge, England. CUSU is a federal body made up of individual college student unions. Trevelyan College is a college of Durham University, England. Founded in 1966, the college takes its name from social historian George Macaulay Trevelyan, Chancellor of the University from 1950 to 1957. Originally an all-female college, the college became fully mixed in 1992. Van Mildert College is a college of Durham University in England. Founded in 1965, it takes its name from William Van Mildert, Prince-Bishop of Durham from 1826 to 1836 and a leading figure in the University's 1832 foundation. Originally an all-male college, it became the first Durham college to become co-educational in 1972 with the admission of female undergraduates. In some universities in the United Kingdom and Ireland — particularly collegiate universities such as Oxford and Cambridge, as well as King's College London, Dublin University, Durham University, University of York, University of Kent and Lancaster University— students and the academic body are organised into a common room, or at Cambridge a combination room. These groups exist to provide representation in the organisation of college or residential hall life, to operate certain services within these institutions such as laundry or recreation, and to provide opportunities for socialising. Typically, though there are variations based on institutional tradition and needs, the following common rooms will exist in a college or hall: Outside the UK, the terms JCR, MCR, and SCR are used by Harvard University, Yale University, Princeton University, and the University of Toronto. A Senior Common Room (SCR) – for senior members. Gonville & Caius College is a constituent college of the University of Cambridge in Cambridge, England. The college is the fourth-oldest college at the University of Cambridge and one of the wealthiest. The college has been attended by many students who have gone on to significant accomplishment, including fourteen Nobel Prize winners, the second-most of any Oxbridge college. 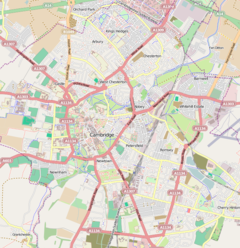 The University of Cambridge is a collegiate public research university in Cambridge, United Kingdom. Founded in 1209 and granted a Royal Charter by King Henry III in 1231, Cambridge is the second-oldest university in the English-speaking world and the world's fourth-oldest surviving university. The university grew out of an association of scholars who left the University of Oxford after a dispute with the townspeople. The two 'ancient universities' share many common features and are often referred to jointly as 'Oxbridge'. The history and influence of the University of Cambridge has made it one of the most prestigious universities in the world. Jesus College is a constituent college of the University of Cambridge, England. The college's full name is The College of the Blessed Virgin Mary, Saint John the Evangelist and the glorious Virgin Saint Radegund, near Cambridge. Its common name comes from the name of its chapel, Jesus Chapel.